Labour party suspends several members of private Facebook group that included leader Jeremy Corbyn. 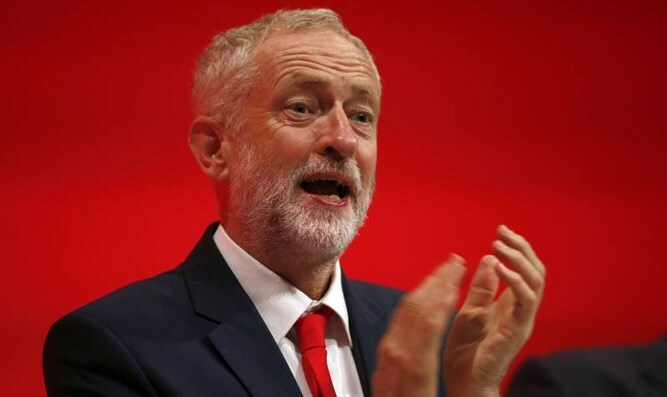 The United Kingdom’s Labour party has suspended several members of a private Facebook group that included the party’s leader, Jeremy Corbyn, over alleged anti-Semitic hate speech, JTA reported on Friday. Reports in the British media on Thursday did not name those who were suspended. The group had thousands of members. The Facebook group first became public earlier this week in a 280-page report by activist and blogger David Collier. The report claims to unearth a sordid 3,000-strong social media network of anti-Semitism on the left that includes prominent public commentators and politicians including Corbyn. According to Collier, Corbyn was a member of the “Palestine Live” group at the time he was elected Labour leader in 2015. The group hosted people such as Max Blumenthal, a controversial speaker accused of anti-Semitism. A spokesperson for Corbyn stressed in a comment to The Guardian on Thursday that Corbyn is not alleged to have said anything anti-Semitic in the group. The spokesperson also said that Corbyn should not be held accountable for the discourse. “As anyone knows, in social media all sorts of things are posted which often others participating aren’t even aware of,” the spokesperson, who was not named, was quoted as saying. Corbyn posted several times in the group after being tagged in posts, according to Collier’s report. He left the group around the time he became Labour leader, although the party has not confirmed whether it was before or after he won the leadership contest, or what motivated his departure, The Guardian noted. Corbyn has increasingly come under fire for his failure to properly deal with the anti-Semitism within the ranks of the Labour party. Corbyn himself been criticized in the past due to his calling Hamas and Hezbollah his "friends" and for outright refusing to condemn those two terrorist organizations despite being urged to do so by local Jewish groups. In 2016, however, the Labour leader said that he regretted making those comments.